Why Map Your IT Environments? Running a high-functioning IT team or tech company requires you to be clear in your mind where you want to take your team. If you’re not clear about that, then just like Alice in the quote above, it doesn’t matter which way you go—or, in the context of the increasingly complex tech ecosystem, it doesn’t matter which methodology or tools you adopt. Then you end up implementing this technology or that methodology halfheartedly, which leads to you switching to new technology and methodology, and the cycle repeats. This leads to a form of techno-methodology whiplash for your team. Is that what you want for your team? I hope not. 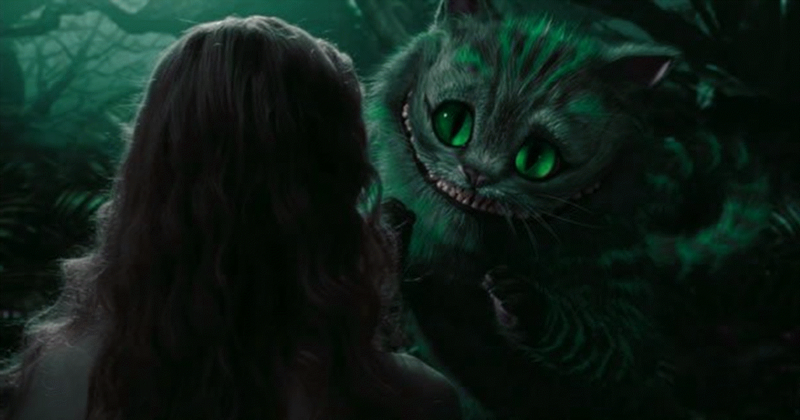 What the Cheshire Cat didn’t point out is that for most of us dealing with complex situations, knowing the destination isn’t enough. We need to know the landscape to plot our way to success. In this article, I will cover the top four reasons why you need to properly map your IT and test environment to bring your team to perform at a high-functioning level. When you map your IT and test environment, you essentially establish the landscape of the situation. A good map lets you bring together various priorities and interests of your team and organization in a single view. The benefits of doing so can’t be underestimated. Miller’s law states that the average human mind can hold only about seven things at any one time. Without a map to oversee the entire landscape, how could you possibly navigate your team around risks of deployment, development, and the day-to-day running of the IT and test environments? In addition, you can build a map that contains multiple levels. Imagine that at the organization overview you map out the various key structures, such as business, ops, IT environment, and test environment. Then you can drill in further by adding in the substructures, such as system instances, applications, data, and infrastructure. All these structures and substructures will interact among themselves, which is why you need to add in the relationships among these structures, the projects, and the teams in your organization. Now imagine you have this map right now. Wouldn’t that make it a lot easier to think about your decisions and weigh your options? You can almost literally trace how a possible solution would impact which system and which team—so before you even encounter objections, you can anticipate them. That’s the power of a single view of your landscape captured in a map. When you have a map, the map almost immediately shows you some low-hanging fruits to pick. Existing gaps and opportunities to improve your existing operations show themselves easily. These low-hanging fruits can give you some quick wins for you and your organization. Identify waste and save costs. For example, you may identify system instances being maintained but not used. Identify underutilized resources and consolidate them. This happens quite frequently as well. For example, you have a bunch of system instances that constantly have low utilization. You can decide to consolidate them to bring about a better return on your expenditure on these resources. Identify undersized systems or applications and reallocate buffer resources. Once you reduce waste and free up resources targeting underutilized resources, you can deploy some of these freed-up resources at the undersized systems. Typically, people would complain that these undersized systems were constantly stretched and not enough resources could be spared due to budget. In other words, you can help reallocate your resources better simply by having this map. Identify the high-growth areas and enable them to grow faster. With a map, you can view how certain systems or applications are growing quickly because they are driven by fast-growing demand. When you can link these high-growth areas with how they help with organization, you will be able to convince management how adding more budget makes business sense. Or you can redeploy resources from other structures facing slowing growth. In either case, a map bolsters the strength of your decision. Everyone has a story about dealing with silly, ridiculous bureaucratic processes. However, as a civilization, progress means more processes are needed for things to run smoothly. Running your IT and test environment successfully means having good processes to ensure things run smoothly. Think Value Stream Mapping.The key is to know when these processes become less effective or even outright unnecessary. Then you need to retire or remodel your processes. The key, therefore, is to discover these increasingly ineffective processes and nip them in the bud. So, study the stats from your troubleshooting and logs and add those to your map. Talk to your various teams from business and customer support. Add anecdotes in as well. In a single view, you would be able to allow both data and personal stories to drive your decision on how to simplify running your IT and test environments. Streamlining and pruning away processes that used to be (but are no longer) necessary would release more resources back to your budget. This kick-starts a virtuous cycle as freed-up resources can then be redeployed for growing opportunities. Once you take advantage of the single view to quickly exploit new opportunities, uncover waste, increase better utilization of resources via reallocation, and streamline processes, you have established credibility about mapping. Imagine earning all that success without even using the methodological or technological fad of the day. Now it’s time for the exciting stuff—planning the future. Once again, the mapping will help greatly. You can plan several scenarios and strategies in a playbook and then check them against the map. The check would involve some kind of impact analysis. The scenario planning exercise is widely used by some of the top-performing organizations in the world. Having a map of your IT and test environment improves the effectiveness and efficiency of the exercise. No more guessing about potential impact of brainstormed strategies for future scenarios; you can immediately check and verify obvious drawbacks and benefits. Scenario planning is better because impact analysis becomes better with a map of your environments. In Enterprise IT intelligence, “environment mapping” represents a highly beneficial and foundational exercise all IT teams and tech companies should perform at least once every quarter or so. It provides high visibility to the many interrelated structures and their relations in your organization. It is not easy to discern these structures and their relations without the map. The increase in visibility delivers great benefits. Agility, smooth delivery, greater collaboration, and good operational and business decision-making all flow from the greater visibility of the landscape surrounding your team and organization. Buy-in becomes simpler when everybody can be on the same page—and when everybody is looking at the same map as well. The importance of mapping your environments is key to your organization’s success. Bear in mind that maps are imperfect, but they are still very useful. Mapping helps you and your team become better at your jobs simply because you did the exercise of mapping. The exercise surfaces the differences in the thinking between the members in your team. Therefore, don’t wait until you come up with the perfect map. Your team automatically becomes better with more practice mapping. Your team and your organization will thank you for that when they start to see the uptick in results. This post was written by TJ Simmons. Kim Sia writes under the nom de plume T.J. Simmons. He started his own developer firm five years ago, building solutions for professionals in telecoms and the finance industry who were overwhelmed by too many Excel spreadsheets. He’s now proficient with the automation of document generation and data extraction from varied sources.